Facebook founder and CEO Mark Zuckerberg is in Kenya after a three-day visit in Lagos, Nigeria. Zuckerberg's first stop was at the popular fish joint Mama Oliech on Marcus Garvey road, Nairobi. 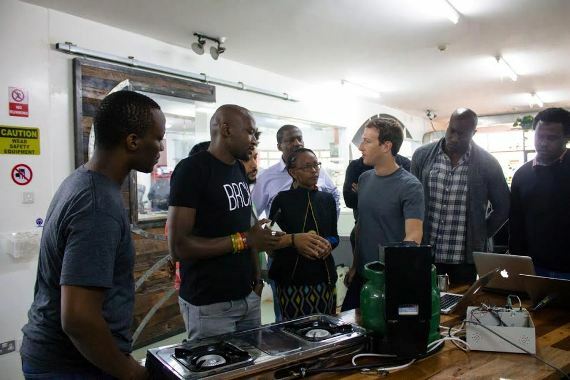 He will meet tech entrepreneurs, developers and talk to stake holders in the ICT industry. 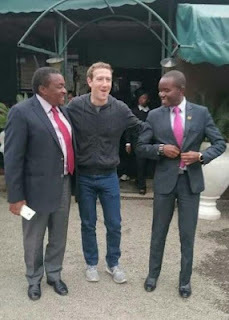 "I had lunch in Nairobi with Joseph Mucheru, the Kenyan Cabinet Secretary of Information and Communications. 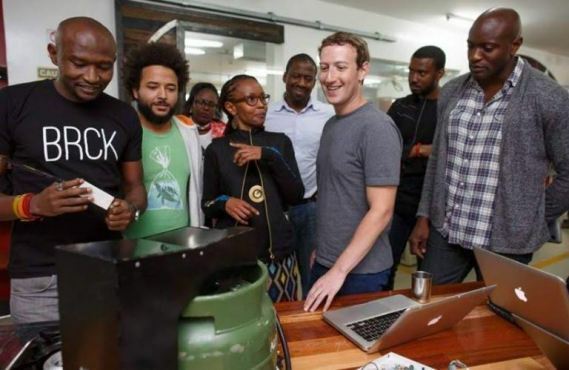 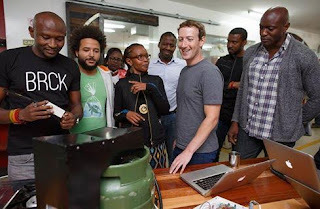 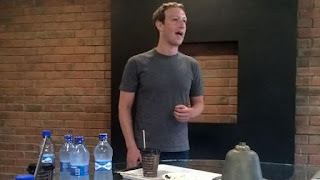 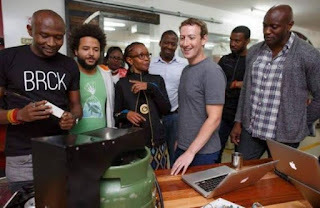 We talked about internet access and his ambitious plans for connecting everyone in Kenya," posted Zuckerberg on his FB page. 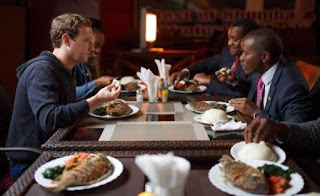 "We ate at MAMA Oliech Restauranta local place everyone recommended. One of my favorite parts of traveling to a new country is trying the food. 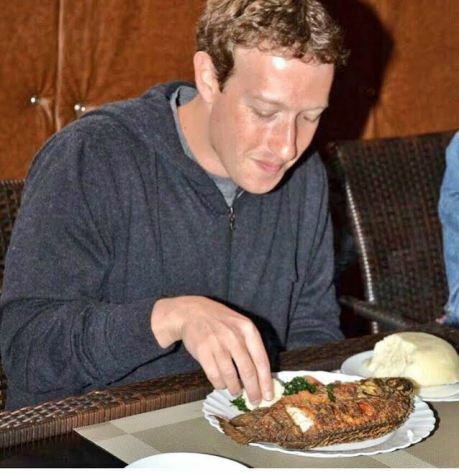 I enjoyed ugali and a whole fried tilapia for the first time and loved them both,"